Salman Khan and his love for kids is widely known. Even in his own family, the actor loves to spend quality time with his nephews and nieces. Ever since the birth of Ahil Sharma, son of his sister Arpita Khan and Aayush Sharma, Salman Khan has been bonding very well with the little one. Arpita regularly shares photos and videos of Salman and Ship playing together. 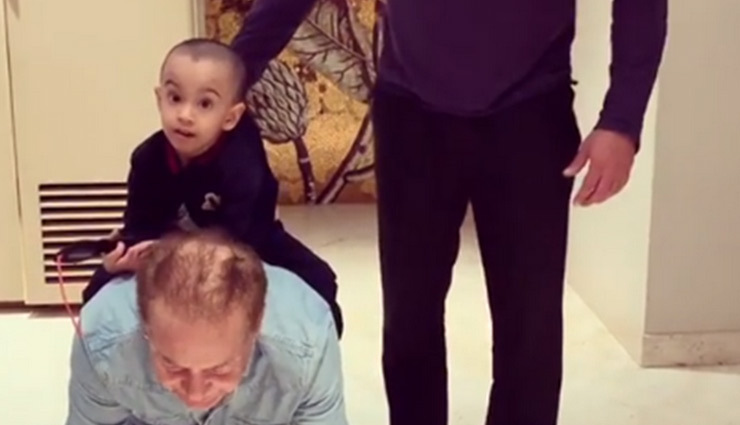 Now, even grandfather Salim Khan has been spending quality time with his youngest grandson.